Can Tony Thompson provide a significant test for David Price? Longtime top Heavyweight contender Tony Thompson now sees himself as a would be gate keeper of the Heavyweight division. After compiling a record of 36-3, with 24 Knockouts one may question why Thompson would find himself in that position. 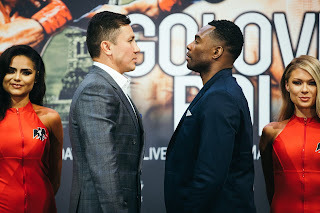 Thompson last appeared in the ring in July of last year suffering his second knockout loss to Wladimir Klitshchko in what was the second world title shot for Thompson in his career. In that fight Thompson wasn’t able to land punches consistently on Klitschko who seemed to increase his aggression as the rounds went on. Klitschko opened a cut over Thompson’s left eye and knocked him down twice in route to a sixth round stoppage. The rematch was not as competitive as their first meeting in 2008 when Thompson was stopped in the eleventh round after giving a “Game” effort. One might argue that Thompson could be on the down side of his career due to how infrequently he was able to land punches in the rematch with Klitschko. One should take into account however that Thompson was up against a fighter who is one half of the most dominant pair of brothers in Boxing history let alone the Heavyweight division. The Klitschko brothers Vitali and Wladimir are two truly great fighters and it is certainly no shame to lose to either. When all is said and done the Klitschko brothers will likely rank highly on most top-ten lists of the most dominant Heavyweight champions of all time. Thompson however has put together a fine career scoring victories over former world title challengers Owen Beck, Vaughn Bean and Luan Krasniqi as well as victories over top fringe contenders. One possible reason some may feel Thompson is on the decline could have to do with his age. Thompson is after all forty-one years old. The theory of most Boxing experts and fans alike is that most fighters gradually decline as they get older. The rare exceptions to that theory are fighters like George Foreman, Evander Holyfield, and of course Bernard Hopkins who have proven that fighters can indeed continue to compete effectively at the highest level of the sport well past the age of forty. Thompson has been near the top of the Heavyweight division for several years but has been unable to break through the glass ceiling to get to the top. The question of whether Thompson’s days as a legitimate top Heavyweight contender may indeed be valid. Thompson will return to the ring on February 23rd against rising Heavyweight prospect David Price in Price’s hometown of Liverpool England. Price, undefeated with a record of 15-0, 13 Knockouts has garnered significant attention recently scoring spectacular knockouts over fighters such as John McDormott, Matt Skelton, Sam Sexton and what many may consider Price’s career defining win to date a first round knockout of former world title challenger Audley Harrison in October of last year. Price in the view of this writer could indeed be one of the fighters if not the fighter who may take over the Heavyweight division in the post-Klitschko era. Price who stands 6’8 with an 82” reach reminds this observer stylistically of Lennox Lewis. Price however one might argue has not been tested beyond the British and Commonwealth levels of Boxing in the UK. It could indeed be a valid point that Price has yet to be tested on the world level of the sport. A valid point that one could argue is that Price has not been beyond seven rounds thus far in his career. In all fairness to Price he has not given those he has faced much of an opportunity to test and extend him to the later rounds of a fight. Price now faces what could be a significant test when he faces Thompson. It is likely assumed that Price will be an overwhelming favorite when the two enter the ring. This assumption I believe will largely be based on how Thompson looked in his last fight against Wladimir Klitschko. Although the odds would appear to be against Thompson in this fight one should remember that Thompson is a fighter who just fought for four of five world titles in the Heavyweight division by facing Klitschko and despite the loss Thompson is still a legitimate top fifteen Heavyweight. Price who is currently rated #9 by the World Boxing Council (WBC) one may argue has not faced a fighter of the caliber of Thompson. A key to this fight will be whether or not Thompson can dictate the pace. Thompson has well-rounded Boxing skills and has shown that he can go late into fights in the past. It will be critical however to see if Thompson can survive the early rounds against a fighter who has shown a tendency to start at a quick pace. The deeper the fight goes, the better it could be for Thompson if he can dictate the pace and find a way to land punches more than occasionally on Price. It is clear that Thompson is the more experienced fighter having boxed 185 rounds in his career against higher quality opposition than Price who has fought just 39 rounds thus far in his career. One thing that some have told me in conversation regarding David Price is that in addition to not being extended to the late stages of a fight, he has not had his chin tested thus far; meaning the question of whether or not Price can take a punch has not been answered. It is again worth noting in all fairness that Price has not given those he has faced too much of an opportunity to test him. I can only assume that questions concerning Price’s ability to take a punch and his stamina later in fights will be answered as he steps up in class of opposition. This fight I believe will be Price’s first significant step up in class. A victory for David Price on February 23rd will only continue his ascent up the ladder of the Heavyweight division. It could however be a make it or break it fight for Tony Thompson. At forty-one years of age questions of how much does Thompson really have left may indeed be valid. Although it might appear as though Thompson is on the decline, it only takes one victory over a rising prospect to elevate a fighter back up the ladder. The Thompson versus Price fight is a classic scenario of youth versus experience. On February 23rd Thompson will definitely face a powerhouse yet there is always a possibility that Price with his youthful inexperience may be taught a lesson. What will happen? We’ll have to wait and see. The Boxing Truth® is a registered trademark of Beau Denison. All Rights Reserved. The Boxing Truth is not intended to be just another blog. It will be much more than that. This is the original The Boxing Truth which began in 2004 and has been viewed online and seen in respected publications such as The Fist Boxing Magazine. We will update this website every Monday and special updates when elements in the sport of Boxing arise and require reporting. It is our hope that our reader base grows for we look forward to meeting you all in conversation and feedback. We stand ready to answer questions concerning the sport of Boxing and if we don’t know the answer we will find out. We are here to speak the truth. Our first edition will be posted Monday January 28th.
" And That’s The Boxing Truth."